No bargains with drivers any longer. 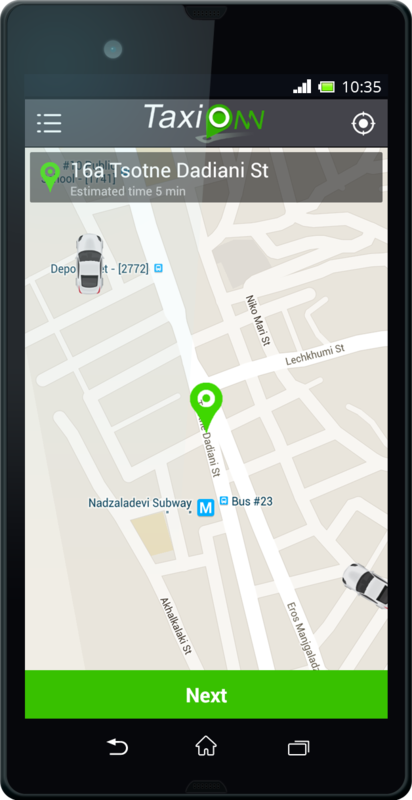 You can find GPS taximeter which exactly calculates your trip cost in all our cars. You can see the approximate rate by specifying drop-off destination in your application even before starting a trip. You always know exactly when your car arrive. 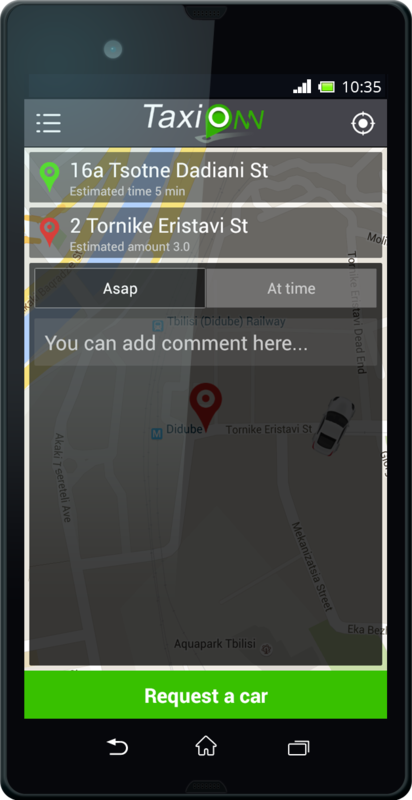 Track driver destination via your application or web-site. Every driver has his/her own rating, that depends on driving quality, experience, attitude towards a client. Their bonuses depends on rating, so be sure that all of them are going to make their best to make your trip more and more comfortable and pleasant. How to use our application? Move green pointer to place where you want to order. After selecting pick-up place press “Next”. If you want to get estimated trip amount or you don’t want to explain destination than move red marker to destination point. You can order a car ASAP or at specified time. Note that booking time is a locale time of city where you are ordering. If you are ordering a car to airport, than notice your name and flight number in comments. Driver will meet you with a smartphone on which is displayed this text. You will see information about driver after he accepts the order. You can rate the driver after finishing trip. 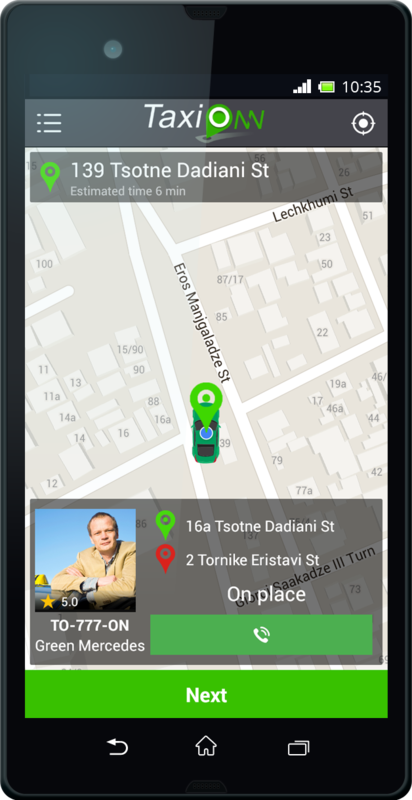 Also you can find your driver on map, with estimated time arrival. 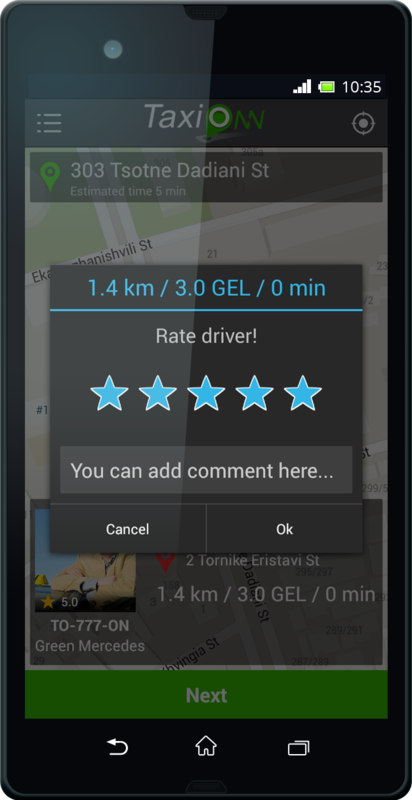 You can rate your driver after trip finished. If driver’s rating becomes less than three, he will be automatically excluded from our system. Just let us know your working available hours and we support you with orders. You and only you who schedule your working hours. You always earn as much as want to earn. Provide a good service, upgrade ranking rate level and increase number of orders. Be the best and you will be the first in allocation order process. Now you have an opportunity to get an equitable price for your work! You do not need to guess the price. You always know your trip rate.